But you might decide that the storage space on your iPhone is better served by deleting Amazon Instant video from the device. Our guide below provides you with two different possibilities for how to approach that solution. When you are talking about removing Amazon Instant Video from your iPhone, then you might be referring to one of two different things. 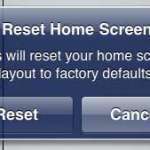 The first is that you wish to delete the Amazon Instant app from your iPhone. 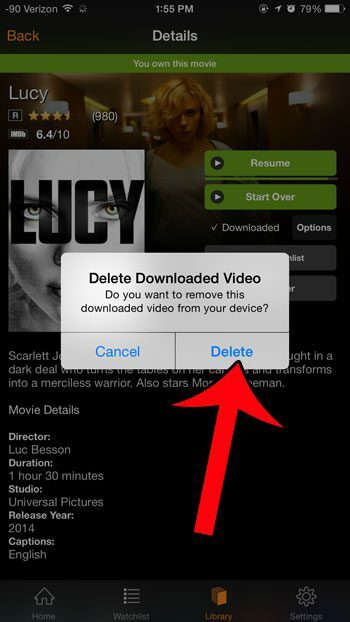 The second option is that you want to remove an Amazon Instant Video that you have downloaded to your device. We will share the steps needed to do either option in our tutorials below. 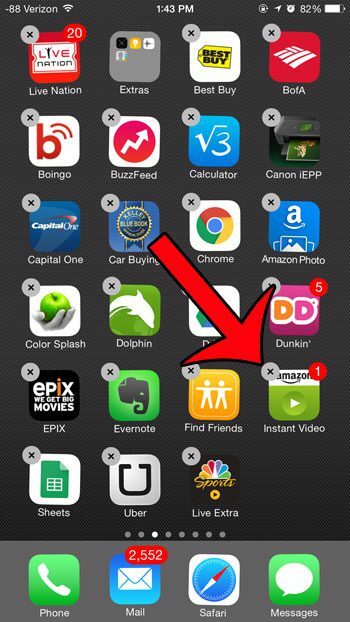 The process for removing the Amazon Instant app from your iPhone is the same as removing any other app from the device. 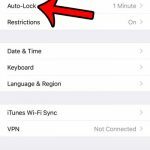 Note that there are some apps that cannot be deleted from your iPhone. You can read about those here. 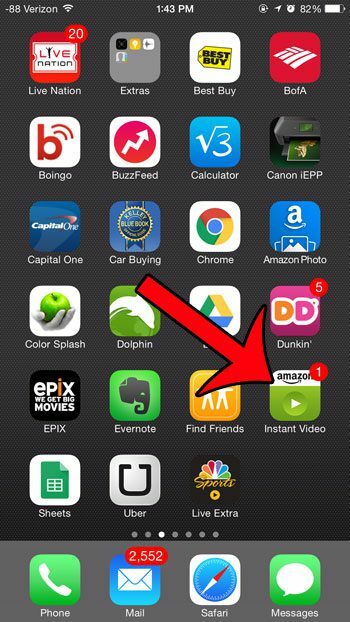 Step 1: Locate the Amazon Instant app. 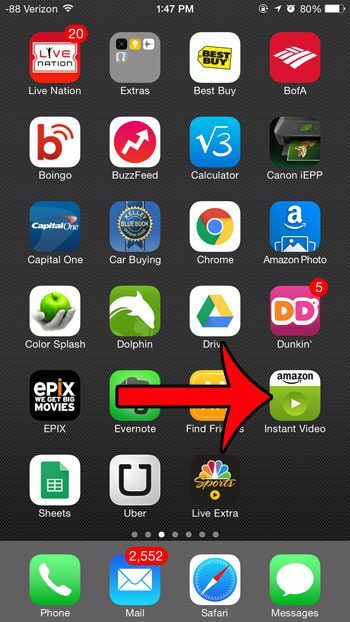 Step 2: Tap and hold the app icon until it starts to shake, then press the x button at the top-left corner of the app icon. 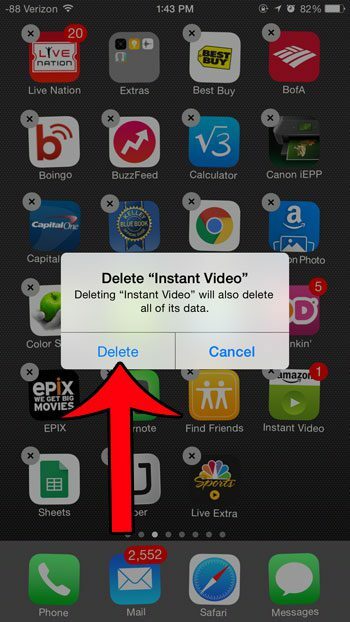 Step 3: Touch the Delete button to confirm that you want to delete the app. Video files can take up a lot of space on your device, so they are usually one of the first targets when it comes to removing items to make room for new apps or files. For other items that you can delete to gain storage space, check out this guide. 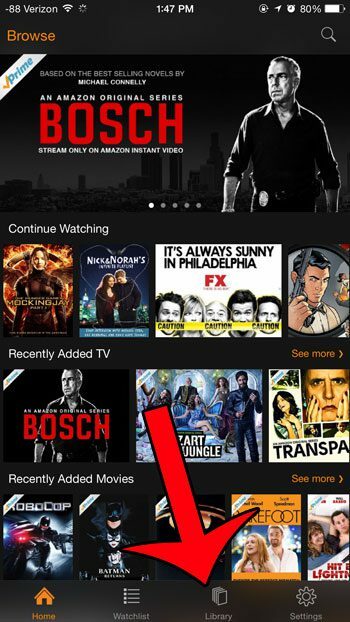 Step 1: Open the Amazon Instant Video app. Step 2: Tap the Library button at the bottom of the screen. 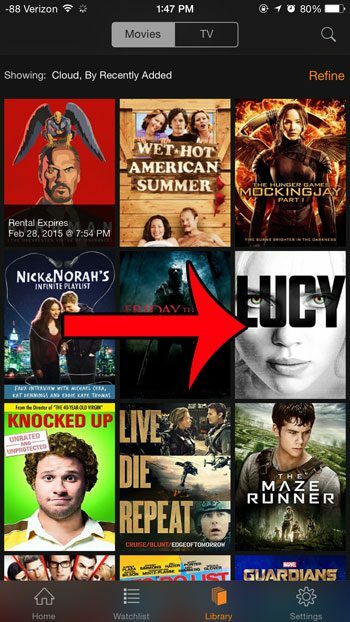 Step 3: Select the movie that you want to delete. Step 4: Tap the Options button next to the word Downloaded. Step 5: Tap the Delete Download button at the bottom of the screen. 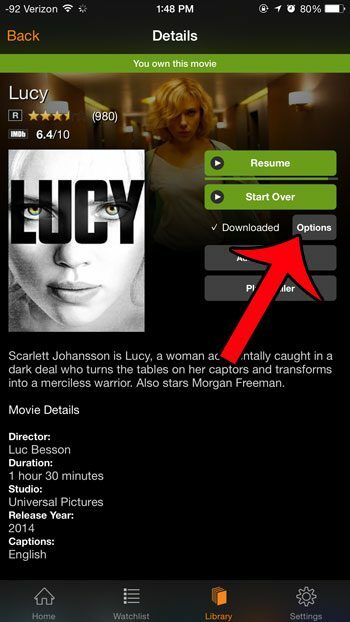 Step 6: Touch the Delete button to confirm that you want to delete the downloaded movie. 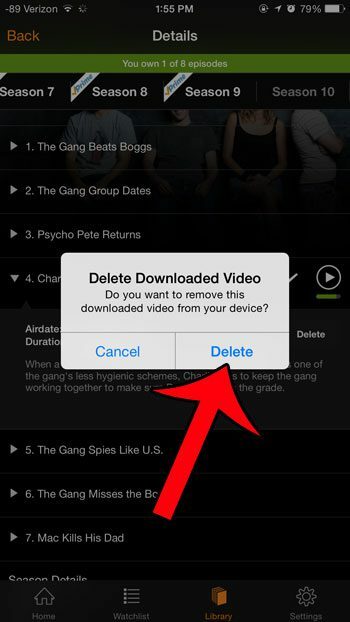 If you are attempting to delete a TV show episode instead, then simply tap the name of the downloaded episode, then touch the Delete button. 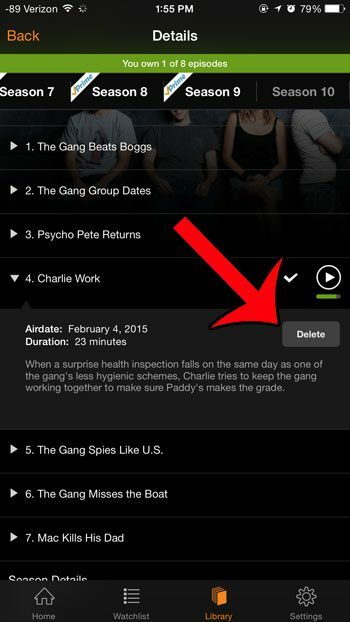 Tap the Delete button to confirm that you wish to delete the episode. Have you been thinking about trying out audiobooks, but you didn’t want to invest any money in one without knowing you would like it? Try Audible and Get Two Free Audiobooks to see if it’s something you enjoy.